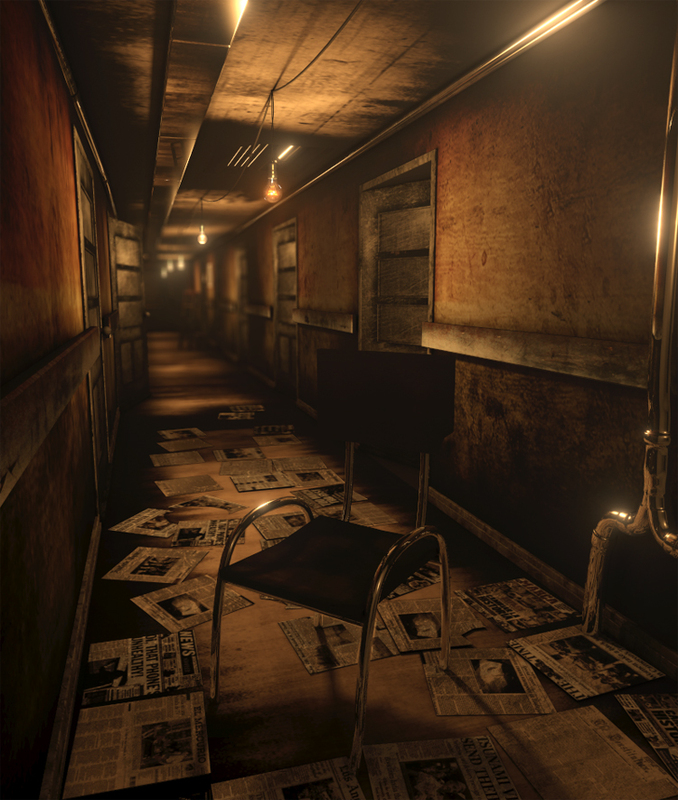 Old hallway made in 3ds Max and rendered with mental ray. I was aiming for the "creepy" mood. Made some post work in Photoshop. Try to adjust the lights, make it a little bit dimmer to make it more creepier. I like the texture a lot!! With great detail, the brightness is ok...just a TAD dark, but it really sets the mood also. Very good. But newspapers seem to be too ordered. It seems that someone put them on the floor in a particular order. Is that ok for the plot? It looks really creepy. Like a hallway in a horror movie. Great mood lighting in that hallway.